Alliance Press will close its Brunswick operation in early 2019 after MaineToday Media opens a new print operation in South Portland. BRUNSWICK, Maine — After installing new printing presses at its South Portland facility, Alliance Press will close its Brunswick operation in early 2019, owner Reade Brower said Monday. Brower, who in recent years bought six of the seven daily newspapers in Maine as well as 19 Maine weeklies, said the 54,000-square-foot Brunswick facility would be “phased out by early 2019,” and publications currently printed there would then be printed in South Portland or Lewiston. Brower established and built Target Marketing and now owns MaineToday Media, Sun Media Group and Courier Publications, among other newspapers. The Bangor Daily News is the only daily newspaper in the state that Brower does not own. The BDN contracts to have editions printed in Lewiston. 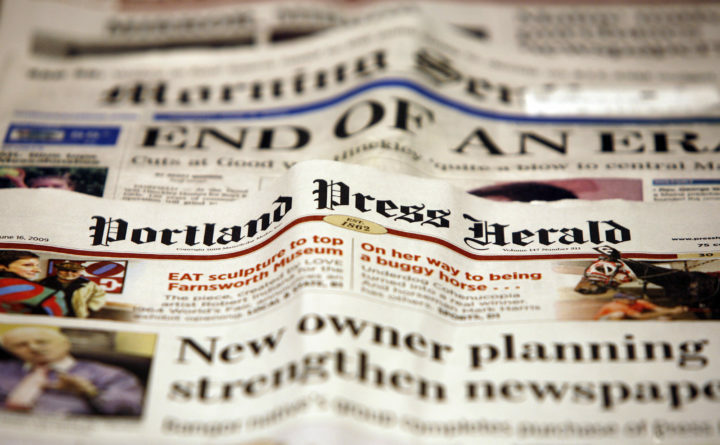 Lisa DeSisto, chief executive and publisher of Maine Today Media, said Monday that Alliance Press would merge with MaineToday Media in South Portland, which publishes the Maine Sunday Telegram, Portland Press Herald, Kennebec Journal and Morning Sentinel. According to DeSisto, “the majority of employees” at Alliance Press in Brunswick were offered positions at MaineToday Media, and some have already transferred to The Times Record and the Sun Journal pre-press departments. Asked how many employees were not offered new positions, she said “less than five,” adding that some employees declined new positions because of the added travel time. Russell Libbey, general manager of Alliance Press, will join the MaineToday Media leadership team, she said. DeSisto said The Times Record will remain in the offices at 3 Business Parkway, where the Brunswick presses are located, as will a carrier depot for Press Herald delivery. The press equipment will be moved out of the Alliance Press portion of the building. On Monday afternoon, Bowdoin College spokesman Doug Cook confirmed that the college would begin leasing space for storage in the former press building this winter. Brunswick Town Manager John Eldridge and Economic Development Director Linda Smith both said Monday afternoon that they hadn’t heard anything about the transition.